Like a lot of people in the UK I am fascinated by our climate and weather patterns and have been from a very early age. My earliest memory is being taken up to school to collect my brother during the winter of 1963. The local people had cleared the snow from some of the pathways and the mounds that were created in the gutters were taller than me. I can also vividly recall the hot summer of 1976 when the country was hit by over a month without rain; many days the temperature was in the high 20s and low 30s centigrade and the cricket pitches were all bleached white. I cannot recall a day when I have not listened to the weather forecast as religiously as the news – in short the weather has always been a fascination to me. Two Christmases ago my wife gave me an Acctim 71233X weather station as a present. (www.acctim.com) The station connects wirelessly to remote temperature sensors, an anemometer (for wind speed) and a rain fall gauge. 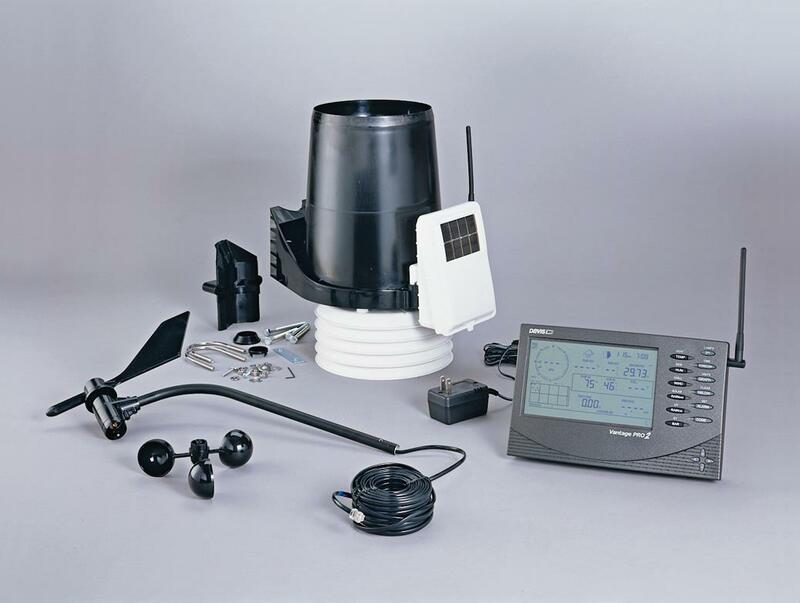 The equipment also records barometric pressure and internal temperatures. Since then I have added other instrumentation from Oregon Instrumentation which includes temperature gauges, a second rainfall gauge and an instrument that measure the relative humidity. The plan is to upgrade all of the equipment so that it can be web based and active at all times. Ironically, this is in IT talk called cloud based technology! As well my own instrumentation I also view the radar and satellite imagery that is available via subscription via the web before making my forecasts. From the first set of equipment, however, the bug was set. I soon joined the Royal Meteorological Society (RMets) as a member and began logging my weather observations in a log book. In May of 2010 I decided to start recording my findings on this blog site and have recently started to include local images of the weather too. It was following the launch of my website that I decided to put together some short reports each day on Twitter (@WS7weather). Whilst my followers are few I am happy that the majority of them are local people and, therefore, the information is more relevant. It should be noted that I do not solely rely on my own instrumentation but that I also subscribe to satellite imagery websites. (My wife will not let me build my own satellite!). On these sites I am able to see the clouds and with some of the images see if they contain any rain that could fall on us. I am able to pinpoint our area and, hopefully, be a little more accurate than most forecasts that cover many hundred square miles. Living on the outskirts of the countryside I am very aware that the weather plays on in the local community. The local cricket and bowls teams crave good weather to fulfil their matches whilst the farmers work hard through many days and nights to bring in the harvest whilst it remained dry. In December 2010 I upgraded my recording with the purchase of the Davis Vantage Pro 2 professional kit. This new equipment will be supplemented in early 2011 with online live data recording software. You can find out more information about the history of Hammerwich by following this link. So pleased that you find the site useful. As from May 2012 I will post on the site the weekly and monthly rainfall figures for you to see. I am having a slight technical problem with one of my rain guages at the moment and so I am using a spare instrument. I hope to be back on the main instrumentation at the weekend. Hi came across from Brownhills Bob’s Blog. I can well understand your fascination for weather, and also remember 63 and 76! Not more than a year ago I took this picture below of an unusual cloud formation, any idea of why it forms like this? Hi, the clouds you have the picture of are common on fine days. These are cirrus clouds and are formed at around 20,000 feet. The cloud will point in the direction that the upper winds flow and are made up of millions of ice crystals. Thank you Kevin, the picture will now have its correct title! The weather was very kind and they seemed healthy enough to face the winter. The question is that I don’t see any birds rebuilding this year, are we in for some cool weather? !